While pregnant women need more vitamins and nutrients, they should be very careful about their diet, because some foods are not only bad for health, but also can cause miscarriage when overeaten. Here is a list of food that should be avoided by pregnant women. 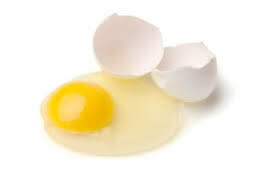 Eggs are a perfect source of some important nutrients you need for a healthy pregnancy. However, you should avoid raw or undercooked eggs. Homemade mayonnaise, smoothies, mousses, soufflés, and other recipes that use raw eggs should be avoided because they may contain salmonella which is a kind of bacteria that can cause diarrhea, poisoning, fever, abdominal pain, and even miscarriage. It is important to avoid soft cheeses during pregnancy because all varieties of soft cheeses, including Brie, Gorgonzola, feta, and Roquefort might contain Listeria bacteria. The bacterial infection can cause miscarriage and also increase the risk of stillbirth and premature delivery. 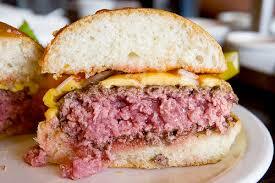 Raw meat should not be part of your pregnancy diet. They may contain a parasite called toxoplasma gondii that can cause toxoplasmosis and lead to miscarriage. 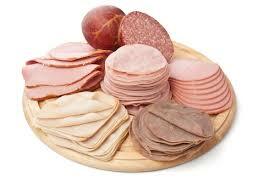 Avoid eating foods like sausages, minced meat, pepperoni, and salami. Besides, be sure to cook the meat properly before eating. 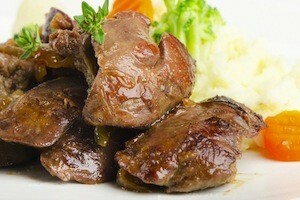 Liver is one of the foods that cause miscarriage. You should avoid liver and any food that may contain liver, such as haggis, sausage, and liver pate. The reason is that these foods contain vitamin A which can affect the development of your baby. Elevated levels of vitamin A in the body can damage the cell development in the fetus and lead to problems like urinary tract malformations, hydrocephalus, and spina bifida in babies, and miscarriage. 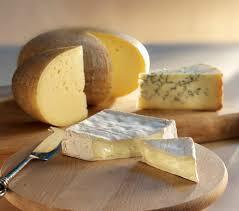 Listeria is a type of bacteria that can cause miscarriage and it might be there in unpasteurized milk. The bacteria can cross the placenta and cause life-threatening complications for the fetus. 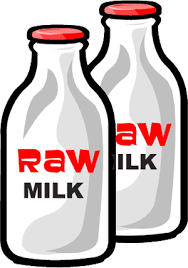 So, be sure to drink pasteurized milk only throughout your pregnancy to lower the risk of becoming infected. 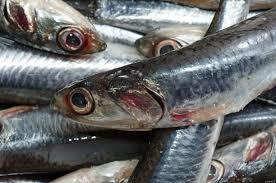 Pregnant women should say no to fish and seafood that contain high levels of mercury. These foods can cause developmental delays and brain damage in fetuses. Those include swordfish, shark, crab, king mackerel, and tilefish. Similarly, you should also avoid canned, chunk light tuna, which may contain lower levels of mercury but can still lead to pregnancy related complications. Processed foods like stuffed foods, pate, sausages, and deli meat should also be avoided during pregnancy, because too much of these foods can be harmful for the fetus. It increases the risk of toxicity to the fetus and eventually leads to miscarriage. You should avoid eating sprouted potatoes even when you are not pregnant. 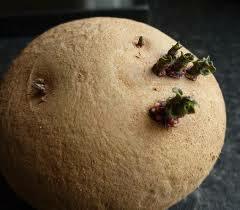 Sprouted potato contains a toxin called solanin which is very bad for people's health. These toxins can affect the fetal growth and eventually lead to miscarriage. Avoid sprouted potato during pregnancy and say no to everything that may contain it. You should avoid eating too much of it because it may increase your risk of bleeding, and bleeding may cause miscarriage. 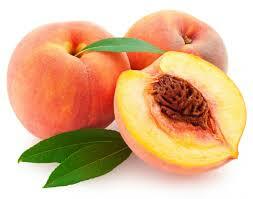 The shell hair of peach may also cause burning and itching throat. 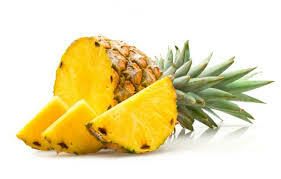 The presence of bromelain in pineapple makes it one of the foods that cause miscarriage. Eating pineapple in pregnancy can cause contractions and create the substance that may lead to miscarriage. Be sure to keep pineapple out of your diet especially during the first three months of your pregnancy. 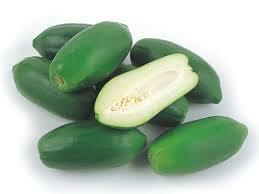 Unripe papaya is also in the list of foods that can cause miscarriage, which is mainly because it contains the enzyme called papain. The enzyme works as oxytocin and prostaglandin, which may induce labor before time. They may also cause abnormalities in the baby. While you may think it is a nutritious food, you should avoid having it during pregnancy. The main reason is the presence of a hormone called alpha-sitosterol which has estrogen-like structure. Eating drumstick tree may make your uterine muscle smooth, which in turn will increase your risk of miscarriage. Wild Apple: It can stimulate your uterus and promote uterine contractions, which in turn may cause miscarriage in early pregnancy. Aloe Vera: Having it in pregnancy may lead to pelvic hemorrhage and eventually miscarriage. Bitter Melon: Both pregnant and nursing women should avoid eating bitter melon because it can cause fetal hemorrhage, uterine contractions, and damage to the baby. Pomegranate: Staying away from pomegranate is important during pregnancy because it causes uterine contractions that may lead to abortion, especially when you have it early in your pregnancy. Sesame Seed: Eating sesame seeds alone or mixed with honey is not good for pregnant women. Having too much of these seeds increases your risk of experiencing the spontaneous abortion. Barley: Barely can cause uterine contractions and increase your risk of miscarriage, which may cause miscarriage in pregnant women.